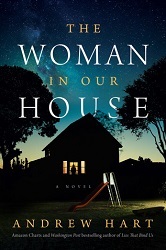 I know, I know, I was supposed to stay away from Netgalley and not request any new titles until my pending shelf was below 10, but when I saw Caroline Mitchell’s newest was up I couldn’t resist. Yay for more DI Amy Winter! I also couldn’t resist the second title and added it to my shelves before I could think about the consequences. xD I’m looking forward to read both though. This entry was posted in Book Memes, Stacking The Shelves and tagged arc haul, book memes, Stacking The Shelves by Yvo. Bookmark the permalink. The Woman In Our House sounds very creepy! The Woman in our House sounds so good! Love the cover as well! 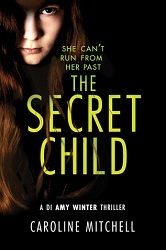 The Secret Child sounds absolutely fantastic; something about a creepy thriller always draws me in. I haven’t read any of this author’s other books; do you have a recommendation for where to start? It depends on if you want a series or a stand-alone… If you want to try a stand-alone first, I remember loving Witness. I just got The Woman in Our House this week as well and looking forward to it! Sounds super creepy!